Regular readers will know how much I love lingerie and also ethical/sustainable approaches to fashion, so you’ll imagine my joy when I found out about a new brand launching soon with a focus on sustainability. Set up by Faith Leeves and Cindy Liberman, two final year BA Fashion Contour students at London College of Fashion (UAL), Lara Intimates will offer wired bras, soft bras, briefs and bodysuits. 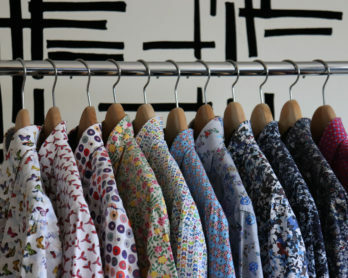 Every piece is designed in London, made with reclaimed, luxury fabrics and produced in England. Their size range (28A-36E) is a one of the widest available on the high street and independent market. Lara will also have half sizes for their soft bras, to help ensure a perfect fit, and will be introducing a ‘Find My Size’ tool where customers input two measurements to find the right Lara bra size for them. Last month Lara Intimates won the Student Enterprise Challenge at London College of Fashion, securing a grant of £5,000 and mentorship. The first part of Faith and Cindy’s plan for the brand is to crowdfund £22,500 to help start up the Lara Intimates factory in East London. In-house production will give the Lara team control over sustainable practices, energy efficiency and also allows for a wider size range. Sets start at £68 and will be offered on Kickstarter for £65. As Faith and Cindy gained experience in the lingerie industry via their degree and placements, they learnt about the not-so-nice parts of the supply chain. Companies they worked for outsourced design and production to other countries, where transparency was near impossible to achieve. The pair believed they could create something with better values that women truly wanted to wear. 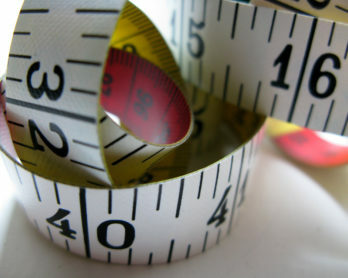 10% of all fabric in the fashion industry is wasted on the cutting room floor. The Lara design team work with reclaimed fabrics that are luxury offcuts – unused or mis-dyed by large brands or factories – and they save and shred every loose scrap to use as stuffing in a new garment. The crowdfunding campaign for this exciting new brand launches on Monday 8th May, and I will update this post with a link when it goes live. UPDATE, OCT 2017: The Kickstarter campaign was massively successful and Lara Intimates now have their own factory and an online shop! They are also running Fit Parties too, and I recommend going along if you live in or near London.